Joseph: Dreams Do Come True is the Bible Survey post based on Genesis chapters 37 – 41. The first several chapters of Genesis deal with a lot and cover several hundred years of human history. As we near the end of Genesis and begin Exodus the story should speed up. Bible Survey is a category of posts that are part of The Master’s Table but located under a unique URL. 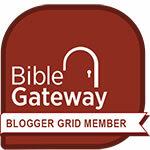 In recent weeks I have been reading the Bible more, but posting on my blogs less. Disciplined Bible reading and prayer are something I struggle with. The Children of Israel (Gen 29 – 35) is the latest post at Bible Survey. Jacob’s name change, his wives Leah and Rachel, and a listing of his children are all covered. Click through the link to give it a read; questions, comments and discussion are always welcome. 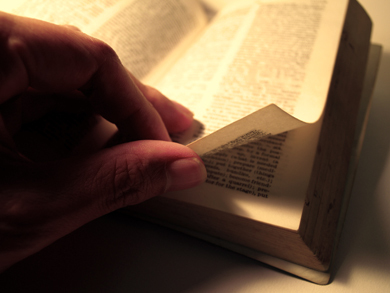 I’ve just added a new post to Bible Survey, my 30 year plan for reading through scripture! I exaggerate slightly. At any rate, Jacob’s Ladder explores Genesis 28. Describing Jacob’s dream is easy; interpreting what it means, that can be a different story. Jewish and Christian traditions differ, but at the end of the day I think there’s only one place we can land: it’s about Jesus. Read Genesis 28: Jacob’s Ladder at Bible Survey. After 5 posts on Abraham I have decided it’s time to move on. There are a lot more stories there, but Bible Survey kind of turned into a lifetime in Genesis on me. Perhaps I should write a book on Abraham; can’t imagine that making the New York Times Bestseller List. The God of Abraham, Isaac and Jacob looks at two aspects of that title. When the Bible uses that phrase (15 times in the ESV) it is for one of two reasons; to either remind the Hebrews who they are and whose they are, or to explain to others outside the Hebrew nation which God it is we are talking about. Head over to Bible Survey and check it out. Here’s the deal: it’s been one year since I started Bible Survey, and I have now posted 10 times. I refuse to quit. Bible Survey is a project that I’m working on in addition to blogging theology, working full time in the ministry and being a husband/father in my family. The goal is to work systematically through the Bible not doing a verse by verse commentary but an overview of the major points. There’s a lot of important business in the Bible dealing with Abraham and his family (that’s right; I’m still in the first 25 chapters of Genesis) but afterwards I think the pace will really take off. I’m hanging in there; I have the rest of my natural life or until Christ comes back. Whichever. In Genesis 17, God gives Abraham the covenant of circumcision. If you don’t know what circumcision is, I’m afraid this post doesn’t get that plain. If you’ve always wondered exactly what God is doing and what circumcision means, I think I can help with that. What’s the purpose for circumcision? Should Christians be circumcised? What’s the difference between Abram and Abraham? What does the name Clark mean? No, really. All of these answers and more when you follow this link to Bible Survey. Remember that newspaper comic the born loser? The humor was that things never went his way. Abraham was wealthy by ancient and/or modern standards, and became the father of many nations. Sometimes though you just gotta’ feel sorry for the guy. For all the faith, for all the blessings, some days he just couldn’t win for losing. Could there be a moral to this story? Click here for Abraham, Poor Guy at Bible Survey.